The first time I saw a quadruple jump performed live, I was barely a mile from the house I grew up in. It was December 1995. The Nepean Sportsplex, constructed in 1972, featured rickety rafters, off-kilter air-conditioning and smaller-than-regulation size skating rinks. This was a place designed more for vicious hockey hits than quadruple jumps, but two-time defending world champion Elvis Stojko was in town to compete in the Eastern Nationals, a three-day long competition for skaters determined to qualify for the National Championship. He didn’t have to be there; his decorated status meant he could go straight to Nationals and skip the Sportsplex altogether. But he’d withdrawn from the previous nationals because of an ankle injury suffered during competition practice, fought through the pain to defend his world title, and wanted to show Canada he was fully recovered, sustaining what was an otherwise injury-free career. He was still capable of landing the quad. The quad looks difficult on a television screen because it reflects the miniscule probability of perfect execution. Figure skaters are taught before they enter primary school to use the sliver-thin length of the skate edge for gliding, spinning and lifting themselves off the ice and landing on one foot. Later comes the most important part of a successful jump: pulling the body into a small center of gravity and rotating one, two, three times at a rate akin to the idling engine speed of a car before landing. The quadruple jump requires a perfect storm of horizontal and vertical displacement, takeoff and landing velocity and angular momentum (the force required to spin so quickly in the air) so that all four revolutions are finished before the skater lands. 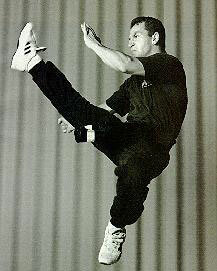 Stojko had mastered the jump as a teenager, and landed it when it mattered at the 1994 Olympics for a silver medal. He landed it even more convincingly two months later in Chiba, Japan to help him win his first world title. Any doubts about Stojko’s fitness and quad mastery dissipated in practice. Where before I required a working television to count the setup’s 1-2-3, with the edge change and toe pick deep into the ice just before Stojko pulled his body together for four tightly wound revolutions, leaving me a half second to wonder if he would, in fact, land the jump cleanly on one foot, now I could do so in person. He whipped out quad after quad, sometimes in combination, during the practice sessions. The fans, far fewer than the numbers attending Nationals and later the World Championships in Edmonton, responded with the fervor and noise of a crowd twice its size. Stojko was relaxed, jocular, keeping up a perpetual professional equally adept with wide-eyed kids, sycophantic adults, and me — a teenager trying hard to be too cool for school and failing. 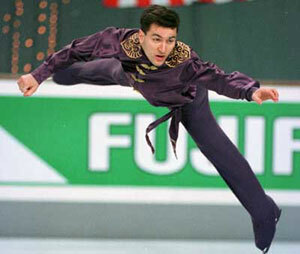 I don’t remember if Stojko landed a quad during either of his programs, but I suspect he did. He would also land many, many more over the years that followed until he finally retired from competitive skating in 2006. But the regional meet in my local backyard signaled a turning point, a time when the quadruple jump moved beyond a risky novelty move into an expectation, even a requirement, for a male figure skater. Women now try quads, though only one, Japan’s Miki Ando, succeeded in 2002. The toe loop and salchow are in the books; the lutz just missed. But with the quadruple jump turning twenty this March, I lament the absence of risk. Or something more. The absence of wonder I felt during the quad’s first decade and a half. Adding more revolutions won’t bring it back. The quad’s anniversary is arbitrary. Robert Waggenhoffer is but a footnote in American skating history: a young man rumored to have landed quads in practice as early as 1979. “Jumpin’ Joe” Sabovcik, the 1984 Olympic bronze medalist, might have been the first quad hopper had he not brushed his foot on at the European Championships two years later. The year before the Calgary Olympics the papers wondered if “the Battle of the Brians” would not only play out for the gold medal but for the chance to be the first quad king (Orser never bothered in competition; Boitano tried it twice in 1988 and failed.) So Kurt Browning’s attempt at the 1988 World Championships catapulted him into the record books, but years later I’m struck by the tiny margin of error all the way from takeoff to landing. Browning’s timing at the beginning seems a beat or two off; the position is slightly tilted in the air; and the three-turn on the landing is good enough for the books but just imperfect to ensure his seventh place standing. The World Championships and star-making performances would only come later. The early 1990s brought a few more stragglers to the quad table. Petr Barna. Alexei Urmanov. And then along came Elvis, whose muscular, stocky build allowed him to power through the 1-2-3 of preparation to land them consistently. He’d land them in combination, first with a double toe loop, then with a triple. My favorite was the one at the 1997 Worlds in Lausanne, when Stojko needed to land every possible jump in his arsenal to hold off Todd Eldredge, Ilia Kulik and Alexei Yagudin. His competitors’ miscues helped, but so did the quad-triple, a combination so brilliantly executed there could be no question he would land each portion perfectly. Kulik would have a similar flawless program, quad and all, the following year to claim Olympic gold in his first try. 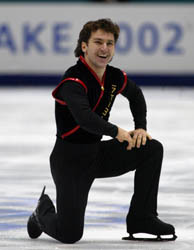 Yagudin’s 2002 Olympic gold long program also had a glorious quadruple toe. Where Elvis’s quads were muscular, Kulik’s, and later Yagudin’s, seemed to float, aim higher instead of further along the ice rink. I can watch routines by each of these men so many years after the fact and still feel their jumps, and especially their quads, shot through with a mixture of fear and hubris. Fear because the audience was never quite sure if they would be landed; hubris because deep down, we knew they would – and even if we were wrong once, we wouldn’t be wrong the next time. It’s no accident I stopped following figure skating around the time the quad became commonplace. Michael Weiss’s endless blathering about landing the quadruple lutz only seemed to highlight how weak his overall ability was. Timothy Goebel may have landed three quads in one program, but that came after many, many misses, cheats and ugly looking rotations and landings. But perhaps the fault lies with 2006 Olympic champion Evgeni Plushenko. He landed so many (well over 100), sometimes in combination, sometimes not, making the jump look so easy that it had the net effect of a triple. But none of those quads had a sense of joy; they pulled inward instead of reaching out. Plushenko’s quad mastery also signaled an end to the era of technical upward mobility. For years, the mantra in skating has been more: more revolutions, more height, more distance, more difficulty. But human bodies are only capable of rotating so many times like dizzy spinning counter tops, of bending the laws of physics enough to land one-footed on a tiny gliding blade. Twenty years of quadruple jumps points to an uncertain future that mirrors that of figure skating as a whole. Fewer people are watching the slim pickings of skater personalities, and the prospects for the 2010 Olympics seem paltry. Instead of making me look forward to the current and next generations of jumpers, wondering if they will turn flips, lutzes and axels into quadruples and beyond, today’s quads inspire a backwards approach. Now I scour YouTube for clips, searching for shards of a time when the jump was special. When there was still some joy in quadville.